Kvisoft SWF to Video Converter is a program developed by Kvisoft Co., Ltd.. We know of version 1.5. Version 1.5.2 is downloadable at our site. Kvisoft SWF to Video Converter package has a size of 8,921,970 bytes. 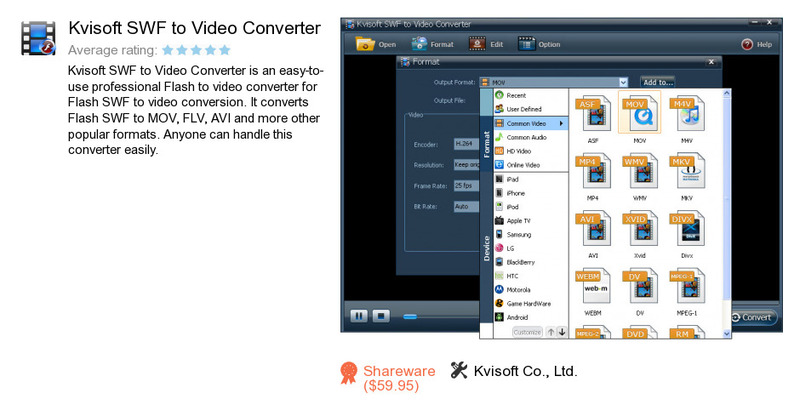 Kvisoft Co., Ltd. also publishes Kvisoft Video Converter.